Yesterday I registered my new domain manatails.com. But I was quite surprised to see this spam mail in my mailbox today claiming that I needed to pay a fee for registering my domain to internet search engines. 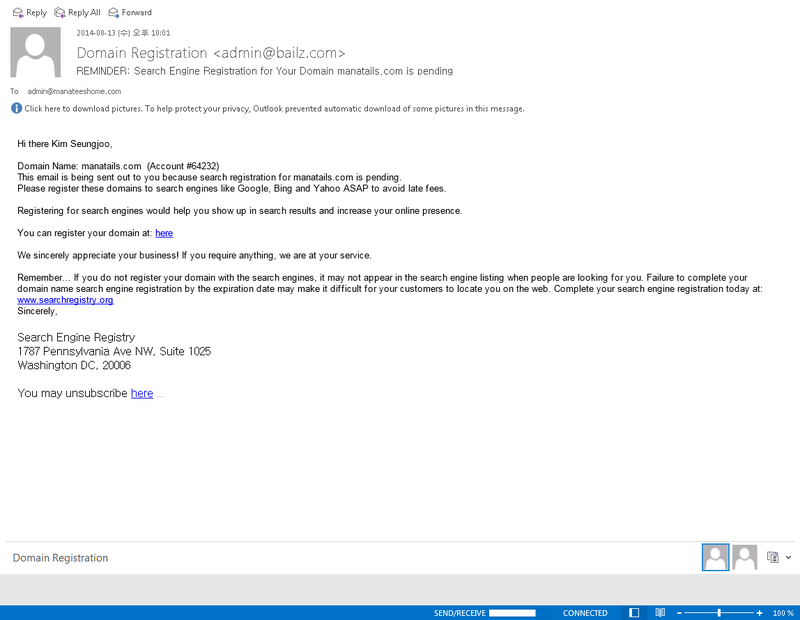 Are they really checking each new domain registration just to spam everyone registering a new domain?